"And there I was, in the passenger seat of a transit van flying down the M6 in the middle of the night, squeezed between the door and Frank Sidebottom. Those were my happiest times - when Chris would mysteriously decide to just carry on being Frank. Nothing makes a young man feel more alive and on an adventure than speeding down a motorway at 2am next to a man wearing a big fake head. I'd furtively watch him as the lights made his face glow yellow and then black and then yellow again." Frank Sidebottom and Jon Ronson, Birmingham, the 1980s. 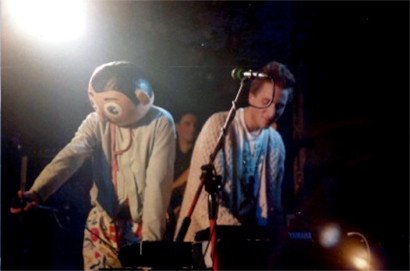 In the late 1980s I was the keyboard player in the Frank Sidebottom Band. Frank wore a big fake head. Nobody outside his inner circle knew his true identity. This became the subject of feverish speculation during his zenith years. Together, we rode relatively high. Then it all went wrong. 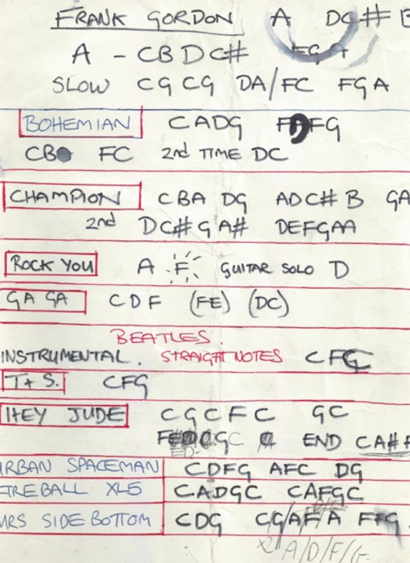 25 years later and I've co-written with Peter Straughan a film - Frank - inspired by those times. It's directed by Lenny Abrahamson and stars Michael Fassbender, Domhnall Gleeson, Maggie Gyllenhaal, Scoot McNairy, Carla Azar and Francois Civil. It isn't a biopic. It's fictional. But I HAVE written an 11,000 eBook - FRANK - that tells the true story that inspired the film.